I'm all obsessed with NaNoWriMo right now. It starts in about 31 hours. I can't believe I'm even updating, but here I am! 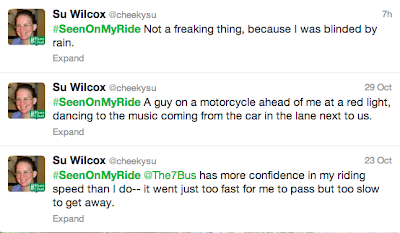 I was going to do this really fun post about my #SeenOnMyRide Twitter updates, but I can only find three. I thought I had way more than that. I searched for #SeenOnMyRun, too, but my last post with that hashtag was a year ago. I wonder what it is that I'm really posting when I think I'm posting these things? It wasn't too long ago that mobile carriers didn't care about data. Their major concerns used to be voice usage and churn. But Cisco is now predicting that mobile data use worldwide is poised to grow to more than twenty times the current usage by 2015. It just happened that last week (or maybe two weeks ago; I've lost all sense of time) I got the bus two days in a row. I also saw a couple of my former professors on the bus on those days, which was lovely. 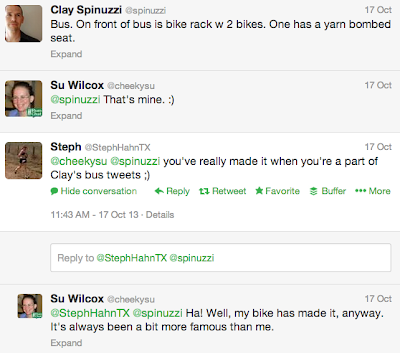 One of those professors is fairly well known in Austin for his Bus Tweets. I started following him because of the Bus Tweets, in fact, long before I signed up for his class. So when I saw him on the bus, I thought, "Oh, good! Bus Tweets!" and went to check them once I got to the office. 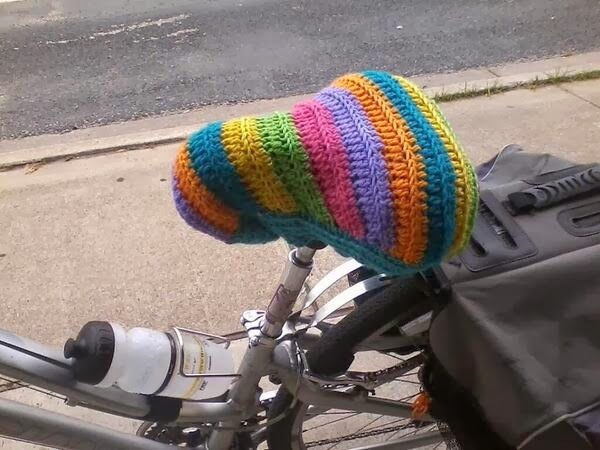 Before the crocheted seat, it was tie-dyed duct tape, which wore out so that I had to replace it and all I had was boring silver. The yarn seat keeps it looking pretty and protects my legs from being scratched to bits by evil sharp duct tape edges. So you can understand why my bike is more famous than I am-- it's been a bit eye-catching for a while. Anyway. 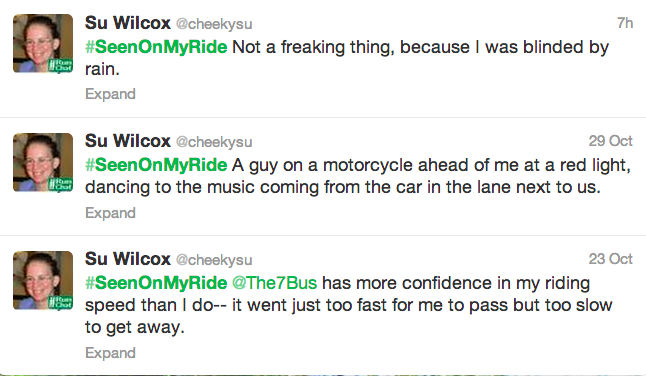 I guess now I know what route to avoid if I don't want to show up in Bus Tweets. 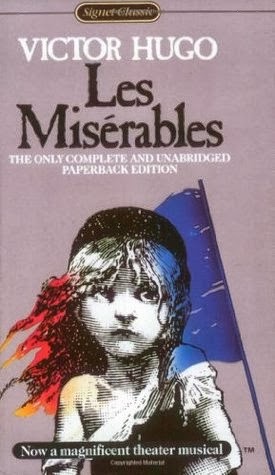 "Jean Valjean's visits were not abridged." 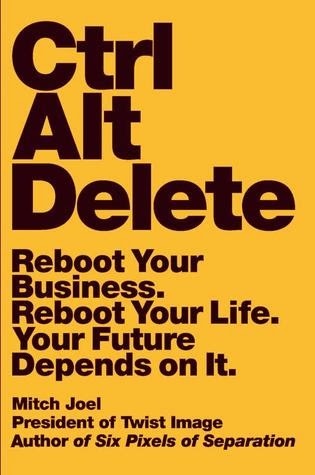 I am nearly done with this book! Wow, can Victor Hugo ever write. And write, and write, and write some more. (Spoiler alert-- well, kinda. Just see the musical, okay?) Valjean escapes through the sewers with Marius? Cue four chapters on the history of the Paris sewers. That's what this book is like. Please don't misunderstand me: I love it. (Mostly. I could have lived without the Battle of Waterloo.) This book is fantastic, but wow, think of how many NaNoWriMos Victor Hugo would have had to taken on just one book if they'd had that sort of thing in his day. And just for the record, the sewer scene was tense. As was the post-sewer scene. And then then three chapters leading up to Javert committing suicide? (What? I warned you! Watch the movie, for goodness' sakes.) Agonizing. I had to put it away for a couple of days to recover after that. Anyway. My Kindle says I'm 96% done. Maybe after a couple of more weeks of reading it on the train on the way home (about 20 minutes every day) I'll have it finished.